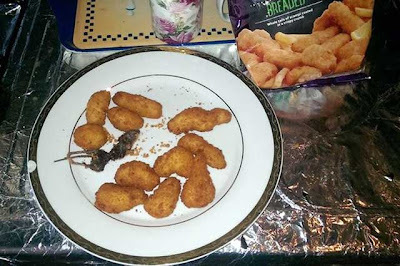 A man who narrowly avoided eating a deep-fried mouse that he claims had been sealed inside a bag of Tesco scampi is now unable to eat. 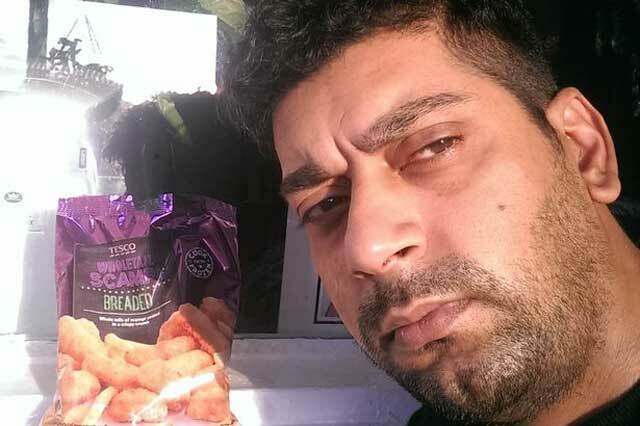 Mohammed Ali, from Stoneyburn in West Lothian, has said he is still too sick to eat after making the gruesome discovery on Wednesday afternoon. The 37-year-old emptied the contents of the bag into his deep fat fryer, not realising the deceased rodent had been frozen alongside the battered langoustine tails. He has now reported the find to Tesco and environmental health officials who are investigating. Mr Ali bought the £3 packet from Tesco in Bathgate and later that day decided to fry them up for an afternoon snack. He said: “I stuck my hand in the bag and put it in, I was in a hurry.” But he noticed something was amiss when he checked the pan two minutes later. If he just poured the bag into the fat, what's to say that the mouse was not already in the fryer? "A Tesco spokeswoman said: 'We set ourselves very high standards for the safety and quality of our food.'" Glad to hear it. When do you plan to start following those standards?